When it comes to creating a sense of warmth and comfort, nothing compares to a fireplace. Whether in a new master suite, a family room addition, or a living room remodel, a fireplace is sure to become the epicenter of your family gatherings. 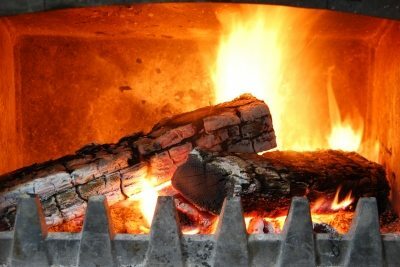 While every set up is different, many older homes have traditional masonry wood-burning fireplaces that are wonderful to look at, whether dormant with logs stacked neatly inside, or alive with a crackling fire. But no matter how beautiful it is, one can never get complacent about owning and operating a fireplace. As wood burns and combusts, it releases smoke, which lines the inside of the shaft with soot. Over time this soot mixes with moisture in the air, creating a sticky, dangerous substance called creosote. This highly combustible tar-like material can quickly ignite, causing damage to your chimney and possibly your home’s foundation and structure. Just a 1/8 of an inch of buildup is enough to ignite and take your entire home with it. Cleaning your chimney removes unsafe creosote deposits that can build up in your fireplace. For the safety of their families, the National Fire Protection Association Standard 211 recommends every homeowner with a chimney should hire a qualified chimney sweep to have an inspection and cleaning at least once a year. Cleaning not only eliminates bad odors from your chimney, it also improves draft, which in turn, improves the efficiency of your fireplace. Included with all of our chimney cleanings is a full safety inspection. We will check the chimney cap, damper, lintel packing, mortar, brick, firebox, refractory panels, and flashing, then our trained technicians will give you a full breakdown on all existing and potential issues. An estimate will be provided for any repairs needed. Our courteous, professional staff is certified by the Chimney Safety Institute of America. They have a comprehensive understanding of different structures and building codes that help us identify deterioration or venting issues before they become serious problems. If you have an existing traditional fireplace, make sure to schedule a yearly chimney cleaning to improve the quality of your chamber. It could save your life!